A Christmas Dozen in Gahanna OH - Rees Flowers & Gifts, Inc. Dazzling and delightful. 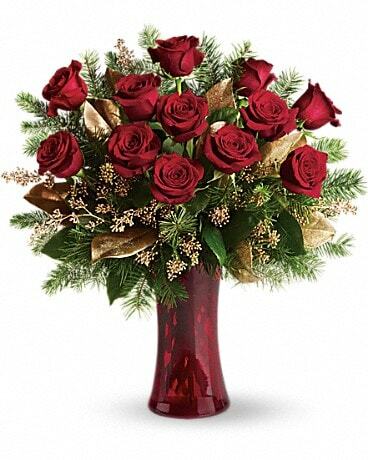 A dozen red roses make a dashing holiday gift, especially when they are arranged with brilliant holiday touches and delivered in a ruby red vase.